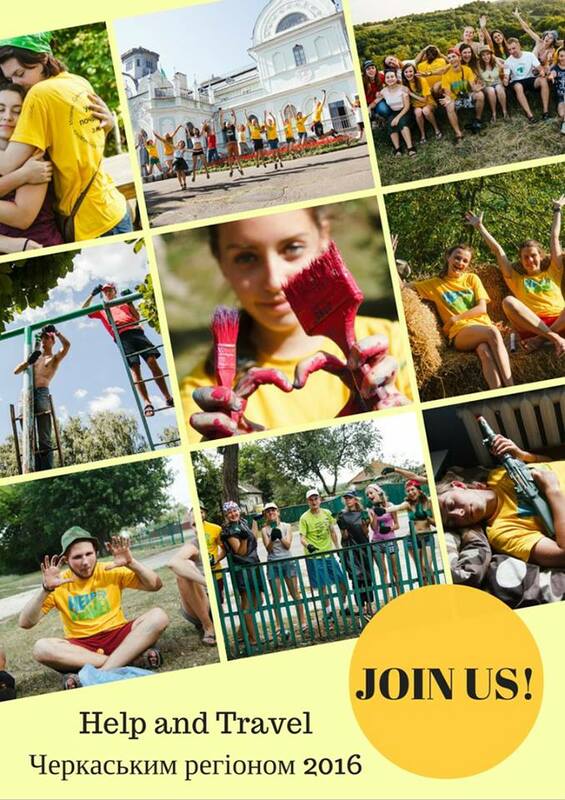 A group of Future Leader Exchange (FLEX) alumni successfully implemented a project titled “Help and Travel,” aimed at promoting civic activism among youth and strengthening civic culture through volunteer activities in 6 villages and small cities of Cherkasy Region. A team of 20 volunteers, selected through an online competition, together with local citizens (around 1,500 people) and in cooperation with local authorities, carried out a number of small community service projects, such as cleanup campaigns, reconstructing local schools, kindergartens and sports grounds, and renovating a bridge and a village council building. Each small project included an awareness campaign aimed at educating youth about opportunities, promoting community service, enhancing environmental literacy and assisting sustainable development of rural communities. Based on the results and lessons learned from the “Help and Travel” tour, the project team conducted an extensive one-day workshop on responsible citizenship, project management and work with volunteers for a group of young civic activists, who are going to become agents of change in their communities. A short documentary highlighting the importance of volunteer actions was created in the course of the project and aired on one of the most popular TV channels (5th Channel). It will be also presented to a general public at a movie theatre in Cherkassy later this fall. In June 2016, a team of UGRAD, FLEX, and USAID-sponsored exchange programs organized a sixteen-day cycling marathon with the participation of visually impaired people as part of the “I See, I Can, I Will” project aimed at raising awareness and attracting attention to the needs and rights of people with special needs. Through a small grant from the U.S. Embassy to the Lviv-based NGO “Institute of Ukrainian Studies, the program involved more than forty blind and sighted people on tandem bikes from all over Ukraine who crossed ten regions and covered a 1,500 km route from Lviv in the west to Odesa in the south. Through a series of press conferences and numerous meetings with local authorities and communities, the project team helped promote international standards in ensuring equal opportunities for persons with disabilities, facilitating advocacy campaigns, and enforcing legislative changes at the national and local levels. In the course of the project implementation, a documentary film with audio dubbing is being created. It will be screened and presented to the general public at a special event at America House Center in Kyiv on November 13, 2016. On September 19, 2016, the theatrical performance titled “1917/2017: Tychyna, Zhadan & The Dogs” was presented to great acclaim in Kyiv at the 2016 GogolFest, Kyiv’s largest International Art Festival of the year. The project was directed by Virlana Tkacz, a native New Yorker, who was in Kyiv on the Fulbright U.S. Scholar program. This intense theatrical performance was partially supported by the U.S. Embassy Kyiv with the goal to enhance mutual understanding through cultural programming. The theatre piece was created by Yara Arts Group (New-York, USA) and the Les Kurbas Theatre Center (Ukraine). 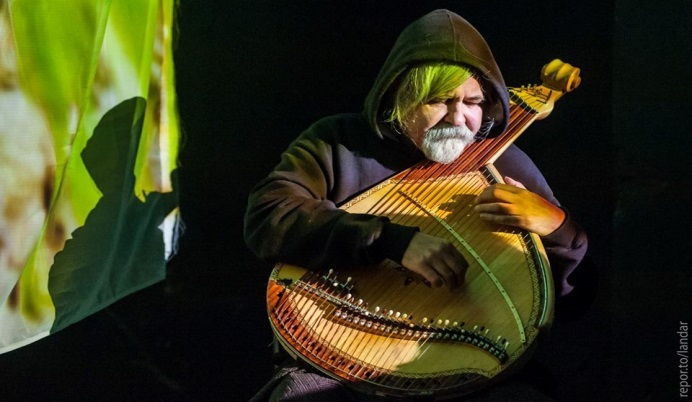 It brought together a group of aspiring American and Ukrainian musicians, composers, actors, and poets to create a cross-cultural experimental theatre piece that re-imagines historical reality through poetry and contemporary art, and provokes the audience to reconsider who they are and what they are doing on earth. Historical events acquire new meaning and resonate with Ukrainian reality and recent history. The next call for proposals for the U.S. Embassy in Ukraine’s Alumni Small Grants Program will open soon! We look forward to hearing about more impressive alumni-led initiatives in Ukraine.